This one-day course introduces service providers, appraisal team members, and process group members to CMMI fundamental concepts related to service delivery. The CMMI for Services (CMMI-SVC) model defines effective practices that ensure quality services are delivered to customers and end users. Some types of services that would benefit from using CMMI-SVC include operations, logistics, maintenance, IT, and many other services in government and industry. 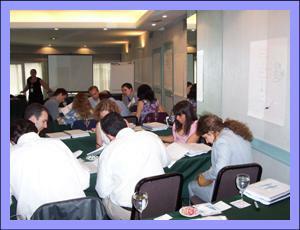 The course is composed of lectures and class exercises with ample opportunity for participant questions and discussions. After attending the course, participants will be able to describe the CMMI-SVC model, discuss the model’s process areas, and locate relevant information in the model. This course, with its prerequisite, Introduction to CMMI for Development, fulfills a prerequisite for any course or role requiring an official Introductory CMMI for Services course. It is designed for professionals who have already taken Introduction to CMMI for Development. A three-day Introduction to CMMI for Services is recommended for those who have not yet taken an introductory course. Before registering for this course, participants must have successfully completed the Introduction to CMMI for Development course. 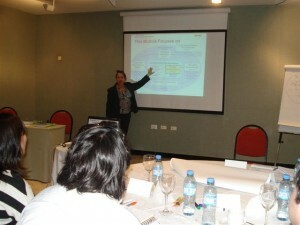 Participants will receive the CMMI for Services model and a course notebook with copies of the course slides.